Hotel Pamela provides comfort and resting in its luxurious accommodation for individual travellers, tourists and businessmen. This elegantly furnished hotel has 64 beds distributed in 23 rooms including single, double and triple rooms, bedrooms and apartments. Each room is modern designed and equipped with HD TV, air conditioning, central heating, wireless internet, spacious bathroom as well as 24 hour room service. 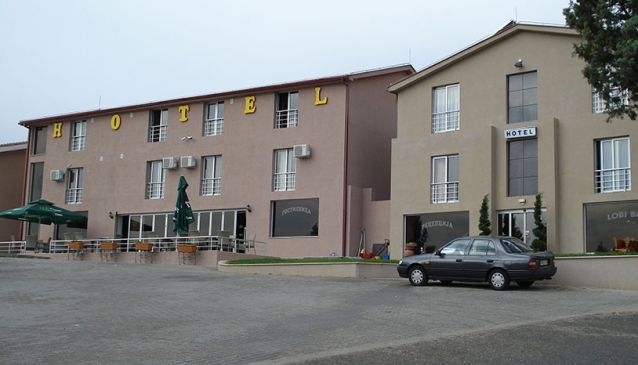 Pamela Hotel possesses also a bar and a restaurant where traditional Macedonian food is served and some classic International dishes as well. The hotel boasts a new open winery with its own produced wine .The friendly and professional staff is always ready to help its guests in every possible way, and the impeccable service of Pamela Hotel makes it an ideal place for a relaxing and pleasant stay.